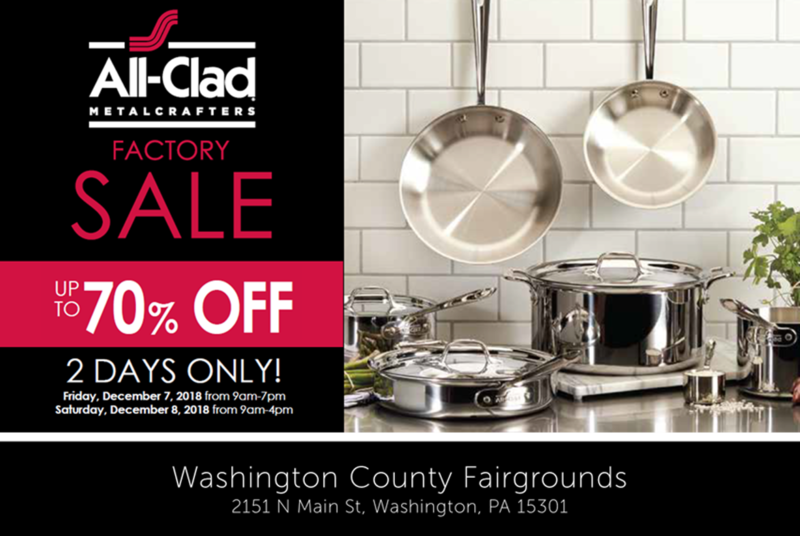 All-Clad Metalcrafters, the undisputed cookware choice of top restaurant chefs and serious home cooks, is hosting a Factory Sale just in time for holiday cooking, entertaining and gifting! Cookware, bakeware, electrics, gourmet accessories & a large selection of tools offered at exclusive prices (up to 70% off!) for 2 DAYS ONLY. New stock o¬ffered daily on select products from All-Clad, KRUPS, Rowenta and WMF.